Auditions are January 9 & 10, 2018, 6pm to 9pm, at Captain Isaac Paine School (160 Foster Center Road, Foster) with callbacks on January 11. Everyone will be asked to sing sections of HAPPINESS and THE BOOK REPORT OF PETER RABBIT as well as reading from the script for their desired character. LEAD CHARACTERS will be asked to prepare one other song in addition. Audition Pieces are available here. All characters will have spoken and singing lines and will be involved in some dancing and movement. Charlie Brown is the lovable loser, and also the protagonist of Peanuts. He’s a dreamer, but very insecure and self-conscious. He’s the manager of the Peanuts Gang’s baseball game, and everyone on the team believes that they will never win. Charlie Brown also has a huge crush on the little red-haired girl as he calls her, but has never had the guts to talk to her. 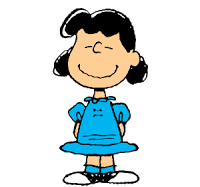 Lucy Van Pelt is the older sister of Linus and Rerun. She is known for her bossy attitude , and crabbiness. She has a psychiatrist booth where Charlie Brown gets advice. She is also known to be in love with Schroeder. She always pulls the football (and other opportunities) away from Charlie Brown. Linus Van Pelt is the best friend of Charlie Brown and Lucy’s little brother. He has the bad habits of sucking his thumb and taking his beloved blanket wherever he goes. He is also the love interest of Sally, yet he shows no affection for her. In “Be My Valentine, Charlie Brown,” he crushes on his own teacher, Ms. Othmar, who breaks his heart on Valentine’s Day. Linus also is the older brother of Rerun. Sally Brown is the younger sister of Charlie Brown. She’s always going by different philosophies. She is known for being in love with Linus, and calling him her ” Sweet Baboo.” Sally has problems with speech and writing, and tends to get what people say mixed up with something similar-sounding. She also seems to be frustrated a lot. She doesn’t have much of an interest for sports, and is one of the few people who doesn’t play on Charlie Brown’s team. Schroeder is known for always playing a toy piano, and looks up to Beethoven as his hero. He is constantly playing, and usually gets interrupted by Lucy, who is in love with him. Most of the time he ignores her, and sometimes he will even pull his piano out from under her and leave. He also plays catcher on Charlie Brown’s baseball team. Schroeder has never played on a real piano. 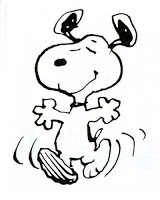 Snoopy is the loving dog of Charlie Brown, who is usually frustrated with him, saying he wishes that Snoopy would just act like a normal dog. Snoopy lays on top of his dog house. He also uses his doghouse as an airplane, pretending to be a flying ace, and attacking the Red Baron. Woodstock is his best friend. Everybody else in the Peanuts Gang adores Snoopy, except Lucy, who gets aggravated. Pig-Pen is known as the dirty character in the Peanuts Gang. Everyone usually stays away from him because he is always followed by a cloud of dust that makes the others cough. His real name was never mentioned. Marcie Johnson is Peppermint Patty’s best friend, and is always following her around. She tends to call Patty “Sir,” which makes Peppermint Patty mad, and always calls Charlie Brown “Charles.” Marcie is a bookworm, but seems to do nearly everything wrong. She also has a crush on Charlie Brown like Patty. Violet Gray is one of the mean girls in the Peanuts Gang, and is good friends with Lucy. She is always making fun of Charlie Brown. She is known to be a snob because both of her parents are college graduates. She also makes fun of the other characters, like Linus with his blanket, and Pig-Pen being dirty. Rerun Van Pelt is the younger brother of Linus and Lucy. Rerun is just a nickname, since Lucy said that watching her younger brother was like watching reruns on television, though his real name was never mentioned. Frieda is the girl who is known for her naturally curly hair. She is extremely proud of it, and is often fixing it. She is the only person on Charlie Brown’s baseball team RF who doesn’t wear a cap because she doesn’t want to mess up her. Shermie is the nickname Charlie Brown gives him, for his real name is Sherman. He barely appeared in any specials or episodes, but only in the comic strip, and was one of the first main characters. Peppermint Patty is the outgoing tomboy of the Peanuts Gang. She is always calling Charlie Brown “Chuck,” and has a crush on him, but always makes it seem like he is flirting with her. She has never got the concept that Snoopy was a dog, and his always calling him, ” the funny-looking kid with the big nose.”She seems fearless, but there are times when she’s insecure. Franklin Armstrong is one of the only African American characters in the Peanuts Gang. He is also on Charlie Brown’s baseball team and plays center-field. He met Charlie Brown on the beach and told him his father was in Vietnam in the war. Accepting auditions by children (6-12 year-old)Woodstock is the best friend of Snoopy, and is the lovable yellow sparrow. He and Snoopy are always on adventures. We will have 6 of them. They will also play Rabbits/Ball Players/Waiters.